Urban rooftop farming sounds great and all, until you consider the heaps of soil and water required just to sprout a few heads of lettuce. Not many buildings can handle it — never mind that skyscrapers make for some of the priciest cropland around. 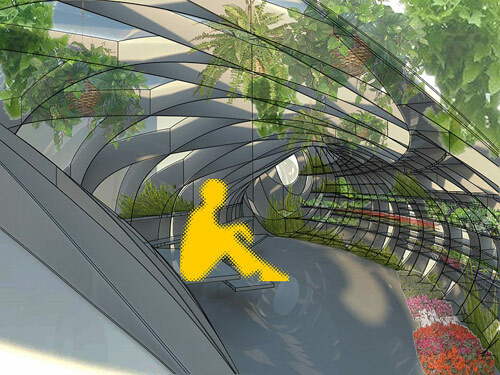 As Popular Mechanics reports, the artist and scientist Natalie Jeremijenko has an idea: growing farms in greenhouse pods that wouldn’t look out of place in planetary orbit. 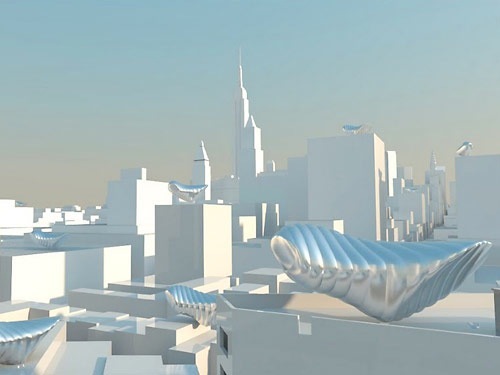 Modeled off space stations, they crouch, insect-like, along roofs, absorbing sun through an plastic skin, recycling air and water from the building below, and incubating plants in hydroponic, soil-free trays. 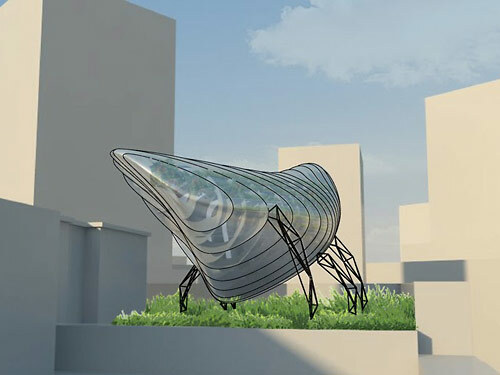 The idea here is that the pods will produce fruits, vegetables, and herbs that would otherwise have to travel hundreds or thousands of miles to reach the dinner table. 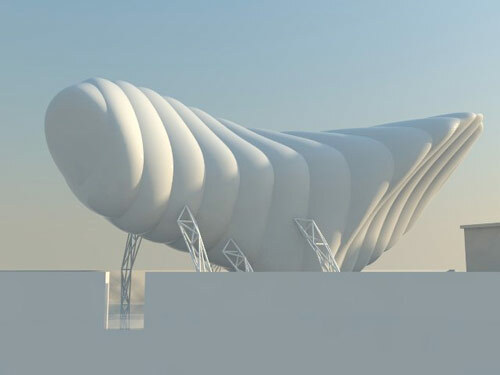 Jeremijenko and her co-designer Jeremy Edmiston call them Urban Space Stations. Growing food on buildings isn’t a new concept. (See some of our past coverage here, here, and here.) What’s new is the idea of something that can be mass marketed. Cost and space, the twin scourges of the urban existence, have scuttled some of the splashier proposals (namely entire towers dedicated to agriculture) — a problem Jeremijenko’s Urban Space Stations seem to avoid. Or do they? Economically, they might be a better bet than throwing up a skyscraper in Manhattan that does nothing but grow tomatoes, but are they cheaper than transporting food from out of state? And even if they are, will Urban Space Stations on every building in every metropolis provide enough produce to feed the masses, or will cities still have to turn to rural farms? Maybe we’ll never have precise answers. As we told you last year, even the most outlandish ideas on urban farming pay dividends, because they lean on others to propagate their ideas and learnings. At minimum, they can mutate into something more realistic — something that brings great ideas out of the stars and back down to earth. It’s not so hard to imagine a day when greenhouses stud the backyards of suburban homes and sprout from haute restaurants. Read more at Popular Mechanics.